PATROL DIVISION – The patrol division is the “back bone” of the police department. This division is comprised of highly trained, educated and professional Officers that respond to a variety of police emergency calls as well as the day to day roles of a uniformed police Officer. They include bicycle patrol, traffic enforcement, accident investigation, emergency response, K-9, SRT team and crisis negotiation. CRIMINAL INVESTIGATIONS– The investigations department is comprised of highly trained professionals that specialize in criminal investigations. 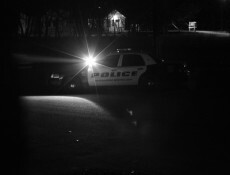 MBPD remains pro-active in crime detection, prevention and investigation. Deterrence begins with thorough investigations which ultimately assist in the identification and apprehension of criminals and criminal activity that occurs in our jurisdiction. TRAFFIC ENFORCEMENT / INVESTIGATIONS – A subdivision of the PATROL DIVISION, traffic enforcement and investigations are crucial roles for community safety. Traffic enforcement can be selective where issues arise, and investigations are extremely important when accidents occur. MBPD remains a member of the Northwest Regional CRASH team and thoroughly investigates vehicle crashes within our jurisdiction. 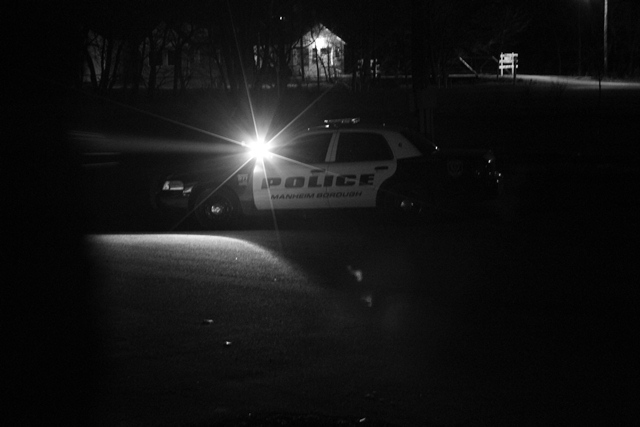 From non-injury accidents to fatal crashes, MBPD has the capability of properly investigating the incident. SCHOOL RESOURCE OFFICER – MBPD remains committed to the safety of our communities youth. By implementing a School Resource Officer (SRO), we believe that we are able to provide a professional, trained law enforcement officer to the Manheim Central School District. This Officer ensures a safe and protected learning environment for our children while they attend school, school extracurricular activities, and enable them to become our future leaders. ADMINISTRATIVE ASSISTANTS – MBPD has administrative assistants that provide a variety of services to the Police Department. They have numerous data entry roles, as well as taking calls from the community for police related services. The administrative assistants have knowledge of criminal procedure as well as criminal law and assist with the day to day activities that occur within this agency. EMERGENCY SERVICES – MBPD remains committed to their response to any emergency that may arise. Officers are first aid and CPR certified, utilize A.E.D.’s (automated electric defibrillators) and have other certifications in a variety of emergency service response roles. YOUTH AID PANEL– MBPD remains committed to the youth of our community. The Police Department utilizes the Lancaster County Youth Aid Panel program which falls under the authority of the Lancaster County District Attorney’s Office. Communities within Lancaster County are strongly encouraged to utilize Youth Aid Panels in cases where a juvenile offender meets the requirements of the program and when both the youth and the youth’s family demonstrate an interest to utilize the program in lieu of the Lancaster County judicial system. The requirements for eligibility generally state that the youth shall not have a prior criminal record or vehicle code violation classified as a misdemeanor or higher. Youth violence, gangs and hate groups are a serious concern for any community. These types of offenses and those related to ethnic intimidation may only be evaluated for consideration for the YAP based on a review of specific mitigating circumstances. Youths committing serious acts of violence are generally not eligible for this program. CHILD SAFETY SEAT CHECKS– MBPD offers child car seat inspections through our personnel who are NHTSA certified. Please contact our office to recieve an appointment to have your child safety seats check by a certified Officer.